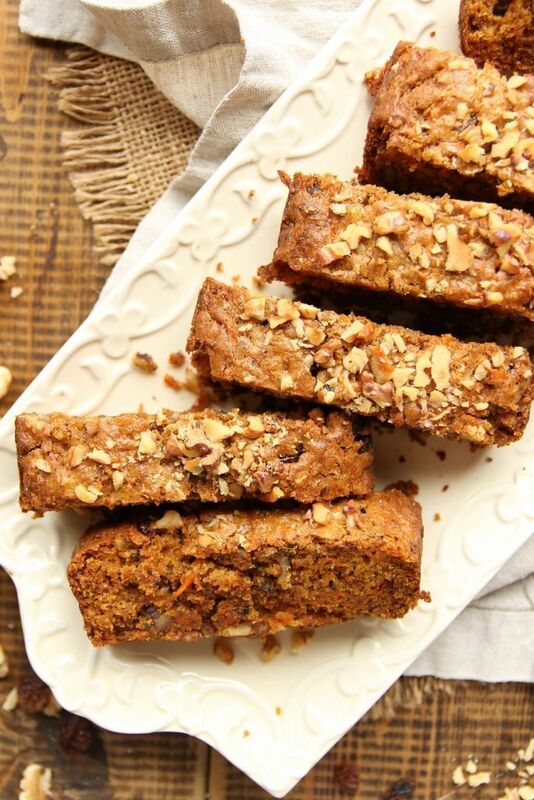 Let me tell you what this vegan carrot cake loaf is not. It’s not fancy, on the contrary, I made this carrot cake loaf with the intention of enjoying it as a regular coffee cake. Now let me tell you what this classic carrot cake loaf is! 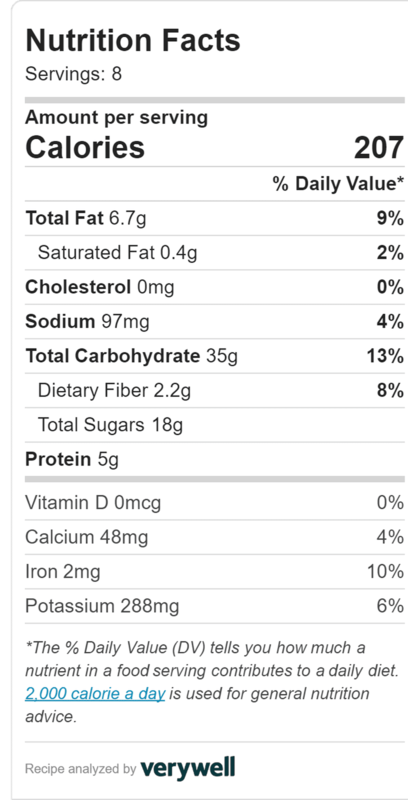 Has a surprising crunch in almost every bite thanks to the chopped walnuts, plus also has added raisins in for extra bites of sweetness. A Few Tips Before We Get Started! I recommend you hand grate the carrots for best results. As much as I love my magimix mixer, I wouldn’t recommend it here, for the simple reason being that even the finest setting of your food processor won’t grate your carrots as fine as a hand grater will. It will seem as if you have added an exaggerated amount of grated carrots to your batter, don’t worry! That’s one of the reasons this cake tastes so incredibly delicious. So, just follow the steps and pop that cake into the oven. Trust me, you’re in for a treat. And finally, as much as my intention was for this to be a casual coffee carrot cake, you’re more than welcome to add your own coconut cream frosting if you wish. So there you have it. 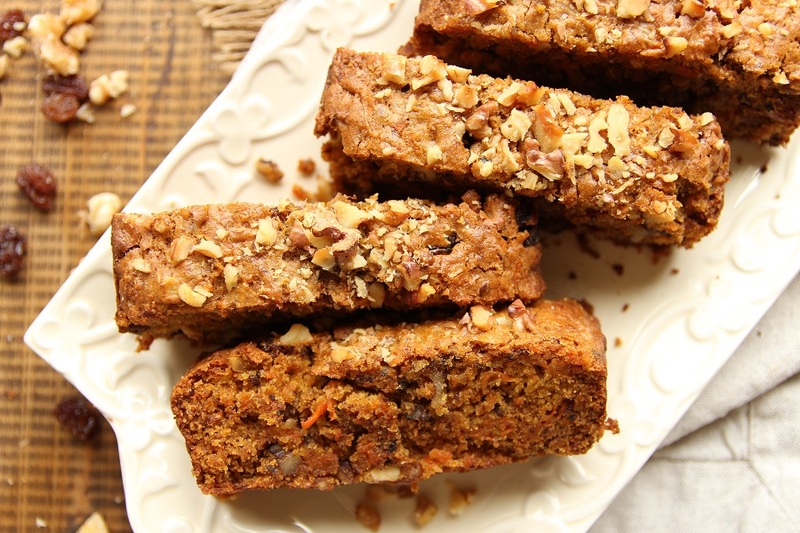 Simple, casual, classic vegan carrot cake loaf in under 30 minutes! I can’t wait to hear what you all think, and if you loved this recipe let your friends know all about it. Remember, sharing is caring! Preheat the oven to 340 degrees F (170 C). Place the ground flax seed and orange juice into a small bowl, whisk and set aside. Wash peel and hand grate the carrots. Place the coconut sugar, grapeseed oil, and maple syrup into a mixing bowl. Add the flax seed mixture and whisk until well combined. Next, switch to a spatula then add the grated carrots to the bowl and briefly mix. Chop the walnuts and set aside along with the raisins. Mix the spelt flour, baking powder, and baking soda together in a separate bowl, then add to the wet mixture and mix again. Finally, add the chopped walnuts and raisins, mix well, then transfer to a 9.4-inch x 5 inch (24 cm x 13 cm) or similar, bread pan lined with baking paper. Even out the cake with a spatula, garnish with extra chopped walnuts then pop into the oven to bake for 25 minutes, or until a toothpick from the center of the cake comes out clean. When ready, remove from oven and let cool before digging in! Store in an airtight container at room temperature for 4 days. 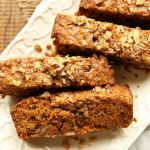 Perfectly soft, incredibly moist, simple, casual, easy to make, classic vegan carrot cake loaf in under 30 minutes! 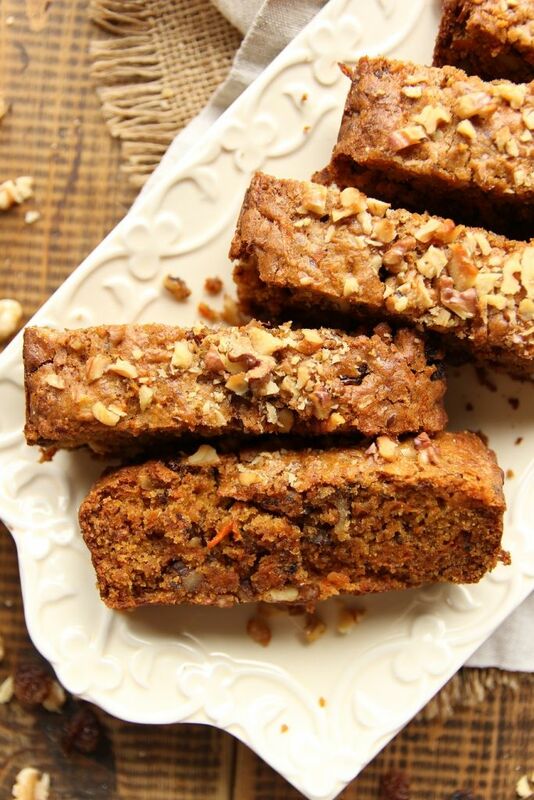 Pin This Classic Vegan Carrot Cake Loaf For Later! 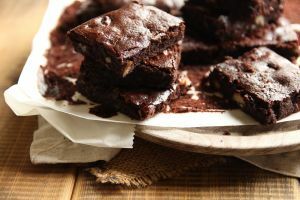 Next time try my Chocolate Vegan Brownies! They’re just as easy to make and taste just as good! ← Vegan Olive Tapenade With Just 5 Ingredients!